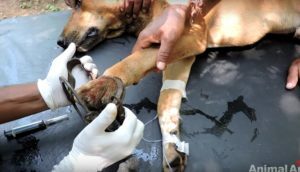 Hope For Paws, a non-profit animal rescue organization one day got an emergency call about a dog who was brutalized and thrown 30 feet down a canal. 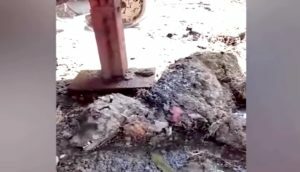 They immediately set out a team to rescue this terribly injured dog. 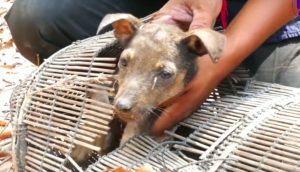 But when they spotted him, they were devastated to see the condition of this dog. 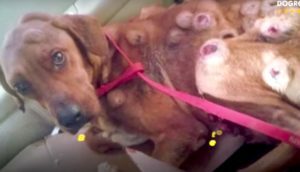 This abused dog was in a horrid condition. According to an eye witness, someone had chopped off one of his legs and was thrown in the LA River. 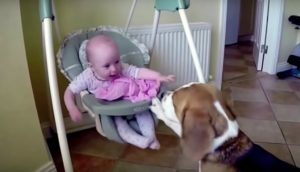 The culprit thought the dog had died, but apparently this brave dog fought for his life. When he was rescued by the team of Hope For Paw, he didn’t shy away from human touch. This dog was later named Jordan. Watch this incredible rescue video below. What are your thoughts about this video? Do let us know in the comments section below. Please SHARE this heartbreaking video with all your friends and family.